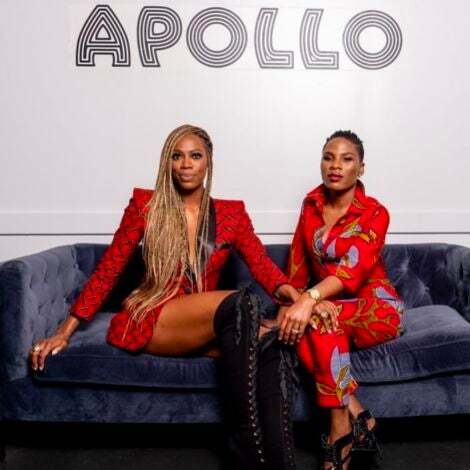 She's pretty, tough and the epitome of Black Girl Magic! 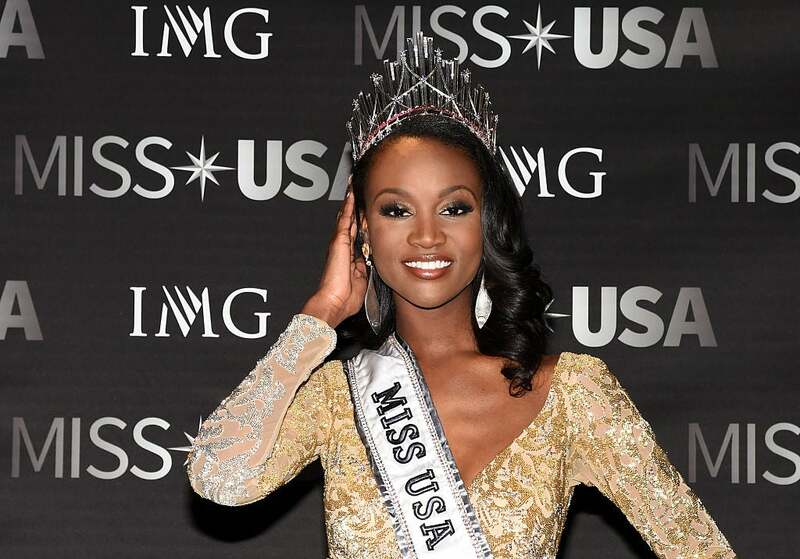 The newly crowned Miss USA, Deshauna Barber is the epitome of Black Girl Magic and then some! 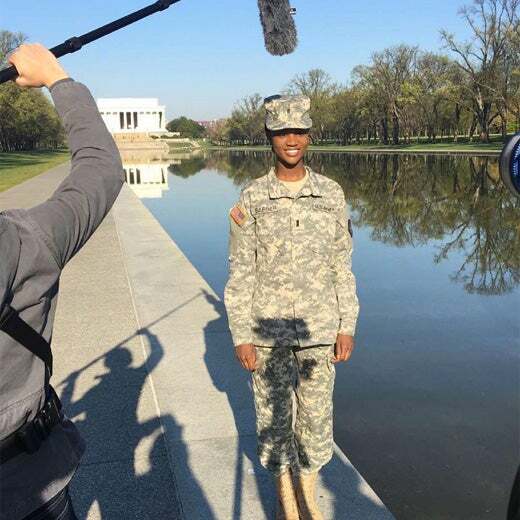 Barber is more than just a beauty queen, she's also a soldier; she joined the army at age 17 as a ROTC cadet at Virginia State University. 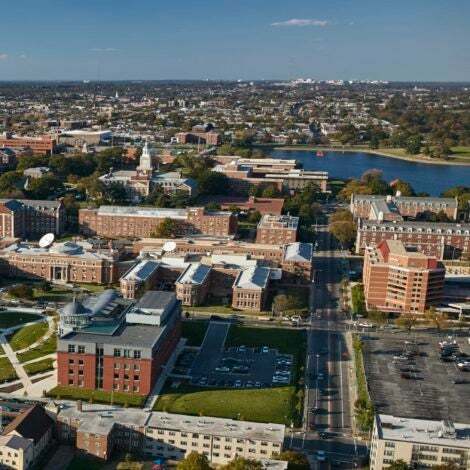 The crowned queen of the Miss USA competition grew up as an Army brat and is now and Army officer, which is reflected in her Miss USA platform dedicated to treatment and rehabilitation of soldiers with PTSD. She wears her crown well, but she's much more than a beauty queen. In her free time, Deshauna loves to dance, hike and enjoy time with her family. 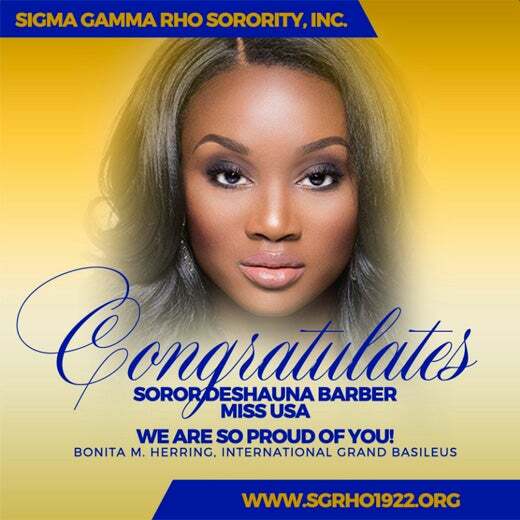 Barber pledged SGRho at Virginia State University, where she received a Bachelor of Science degree in Business Management. Being Miss USA has it's perks! As the crowned Miss USA, Barber will receive a one-year scholarship to the New York Film Academy, living expenses in a New York apartment, a full-time glam squad and a modeling portfolio. In an interview with Las Vegas Sun, Barber gave some insight about her experience being stereotyped in the military stating, "If you’re an attractive woman...if you’re well put together, they assume, I guess they assume, that beauty is somewhat affiliated with weakness. It’s always cool to be in a rucksack march, and I have 40 pounds on my back, and there’s a 200-pound guy with the same 40 pounds on his back, and I’m a mile ahead. Those types of things really empower me." You go girl!